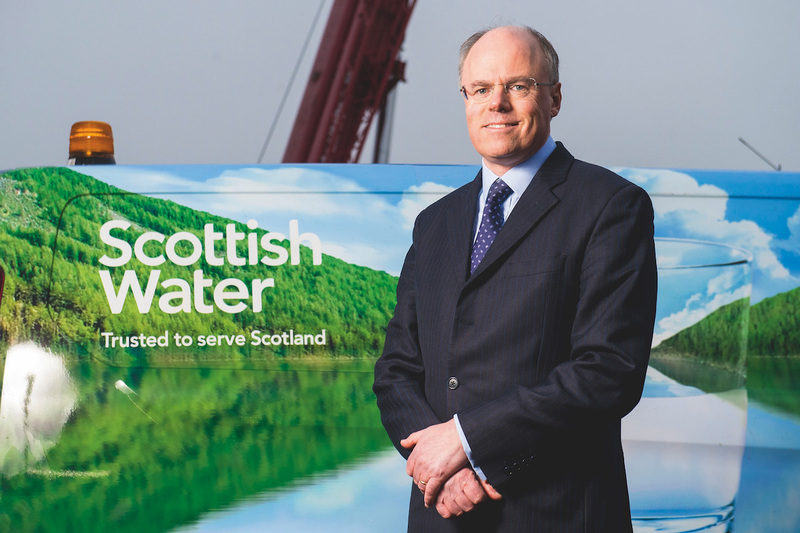 For Scottish Water CEO Douglas Millican, climate change is a very real issue. 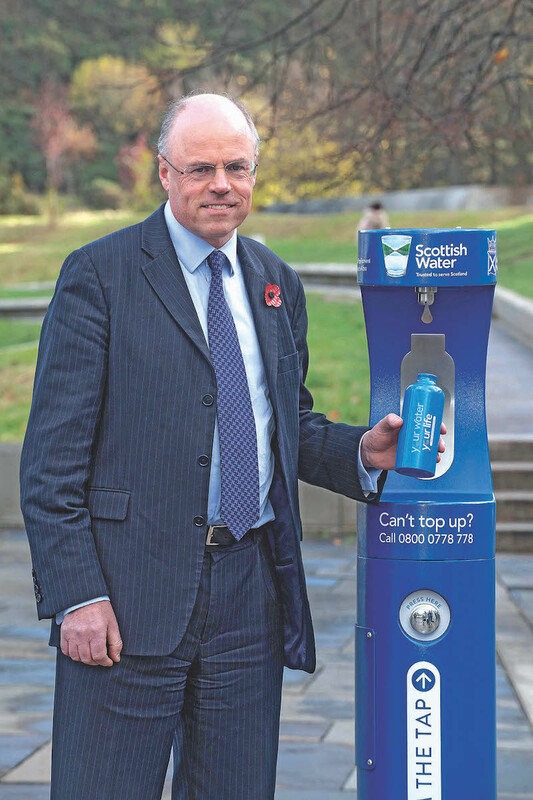 Douglas Millican never planned to be CEO of Scottish Water. It just kind of happened and not in the best of circumstances either. 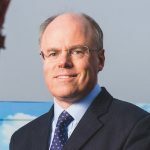 When Richard Ackroyd, his boss and the former CEO of Scottish Water, passed away suddenly in October 2012, Douglas, who was CFO at the time, stepped into an interim CEO role. Shortly after, the board of the publicly owned utility asked him to be the permanent CEO. Douglas draws inspiration from those who ran the company before him. “Having worked under two very different CEOs, I’ve learned that it’s really important to be true to yourself,” he says. “There’s no single way to be CEO and you’ve got to play to your own strengths and build a team around you to give you the collective strength you need to lead the business. Scottish Water supplies wastewater and drinking water services to 2.52 million households and 153,000 businesses in Scotland, covering 80,000 square kilometres and reaching 97% of Scotland’s population. A colossal 1.38 billion litres of water are delivered and 929 million litres of wastewater are removed annually by Scottish Water. There’s generally plenty of the stuff to go around in Scotland, which gets its fair share of rainfall through the year, particularly in the highlands. Douglas personally drinks “huge quantities” of H2O and he’s a strong proponent of the water his company delivers. He says it tends to have a “soft, pleasant taste”, although this varies regionally and depends on the ground conditions where the water is stored, or where it passes through, be that deep underground aquifers or picturesque lochs. However, there isn’t always an abundance of the natural resource for Scottish Water to draw on, particularly during extreme weather events, which are increasing in frequency and intensity as a result of climate change. “Through the summer of 2018, when we had very long, hot, dry periods, we were having to work furiously to keep everybody in supply,” says Douglas, adding that climate change is the biggest threat to the business. It has the potential to impact the availability and nature of the water that Scottish Water treats, as well as the quantity of wastewater it will have to deal with. Scottish Water invests about £600 million (€690 million) a year, equating to roughly £3.9 billion (€4.4 billion) between 2015 and 2021, on improving its services. Douglas says this will help the company to increase the reliability, resilience and sustainability of its services. He also wants Scottish Water to be better at risk management so that it can comfortably deal with weather events like the notorious “beast from the east”, which struck the UK in the winter of 2018, and the warm summer of 2018 that led to a 30% increase in demand. Technology will play a vital role in all of this. Smart sensors, analytics and artificial intelligence are just some of the technologies that Douglas wants to harness in the coming years. “We’ve got so much further to go in understanding the data within our complex systems and looking at how we can make smarter decisions,” he says. There are some 4,000 staff helping Douglas on his mission, as well as 3,000 others in the supply chain. 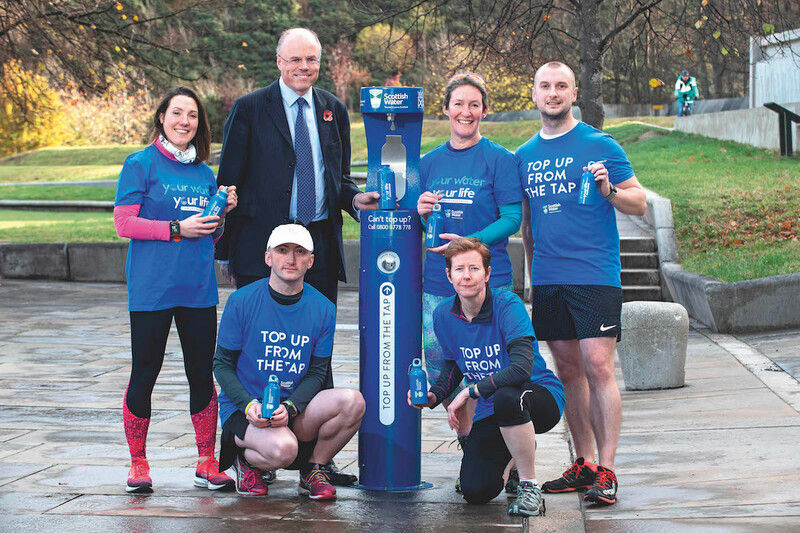 “There is enormous pride among our people in working for Scottish Water and in the nature of what we do as a business.